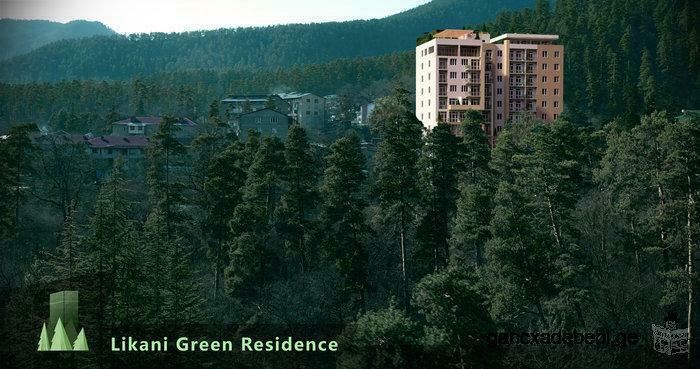 Likani Green Residence - is a recreational complex in Borjomi Dream Resort. Likani spa mountain is its most popular and famous place, where worlds prominent persons had their holidays. Likani was favorite resort for Russian royal family where they had their palace. Likani Green Residence is one and only skyscraper of this scale in Borjomi that has ideal location surrounded by the caucasus mountain and bojromi-kharagauli national forest. every apartment has 5 star view over the nature, mountains and park. Only 23 apartments are left, rest 90% of the building is already sold. # Likani Green Residence - The Real Green is Here! Comfortable flat for rent at Nutsubidze Street (Vake-Saburtalo). Flat has 2 rooms, with isolated kitchen and a balcony. It is in perfect condition and is comfortable for living in beautiful environment equipped with all necessary pieces of furniture and technique. forent comfortable two rooms flat. for rent studio with 1 bedroom.full comfort.550$.behind Saburtalo macdonald. owner Ia 577417876.